Microsoft is now rolling out a major update for Bing Search app on Android. The new update brings gets new look, features and more. Now you can get rich and clear results with improved restaurant reviews, songs, and more. Bing now also gives you quick access to images, videos, and news search results. Check out more details below. The Bing Search app has a whole new look! Search better with a simplified experience and refreshed color. Get rich and clear results with improved restaurant reviews, songs, and more. 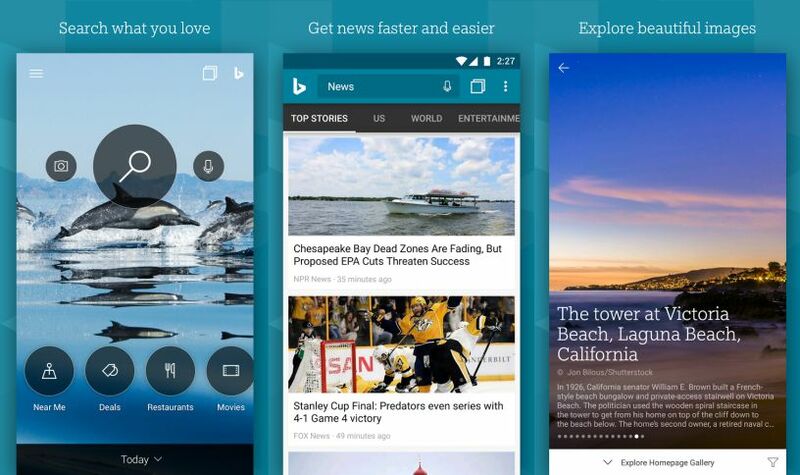 Bing now gives you quick access to images, videos, and news search results. Search animated gifs, discover trending ones, and save your favorites! Customize font style, size, and background for an optimal reading view experience. The company also go bug fixes, speed improvements, polish and so much more! You can download latest Bing Search app for Android from here.